progress would emerge as victorious. built on Korang Nullah Bani Gala here. nobody could beat Pakistan Muslim League (N). sweep next general election on the basis of its performance. is not an experienced person. the country having a large population. of experience, had they won the general election. promises of development and it fulfilled its them. been restored in Karachi and Balochistan. in Balochistan and built motorway from Gwadar to Karachi. hospital in KP during last four years. last three years but KP government failed to establish a single metro despite cooperation of the federal government. was not appearing before Election Commission for the last three years. funding record before the Election Commission. 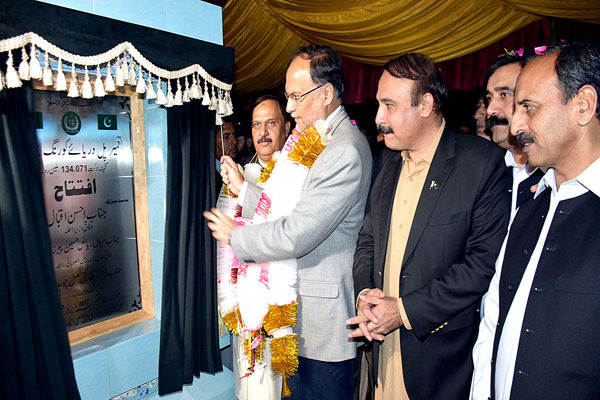 Korang Bridge had been established at a cost of Rs 125 million. adding that Nawaz Sharif’s corruption could not be proved. public in 2013 and made Pakistan a peaceful and prosperous country.